View More In Under-Cabinet Mounting Accessories. Let's know more about this ASOKO Light Bar ! 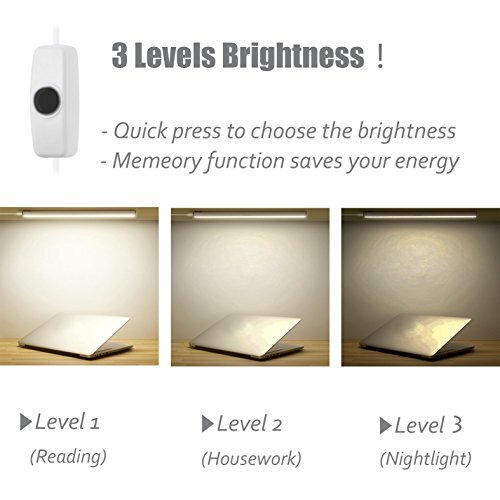 One button controls the ON/OFF switch, and brightness adjustment, 3 levels brightness to choose, 300lm for the brightness, meet your need at any situation. With soft sillicone cover on switch, easy to push without break your nails or hurt your fingers. 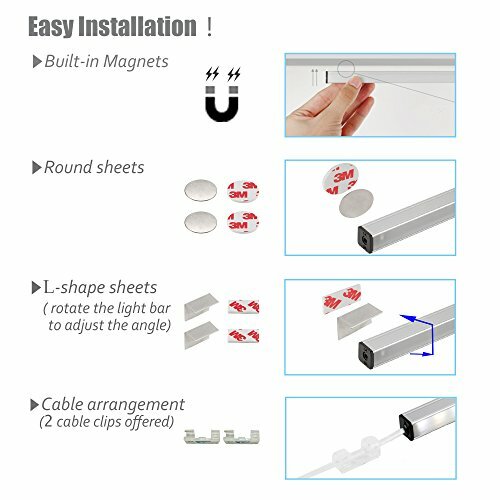 The 3 smart installation plans save your time and work , no screws needed and easy to move. We also offer 2 cable clips to help you manage the cord. The USB port design makes it easy to carry . 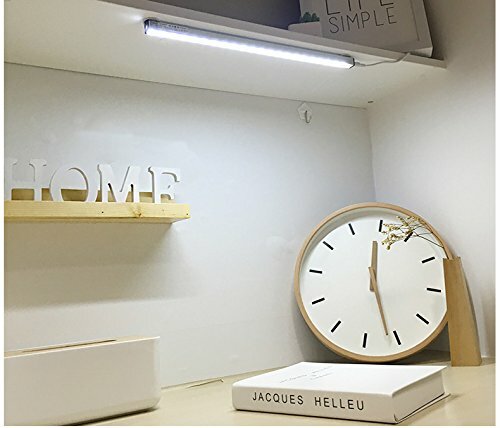 You can power this light with adapter indoor, you can also power it with power bank or PC outdoor. 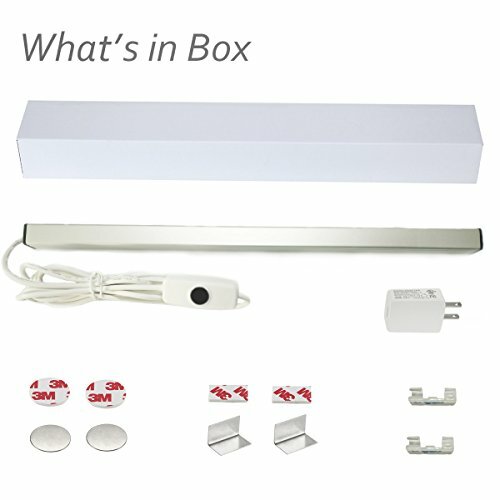 You can even use it as an emergency light if needed. 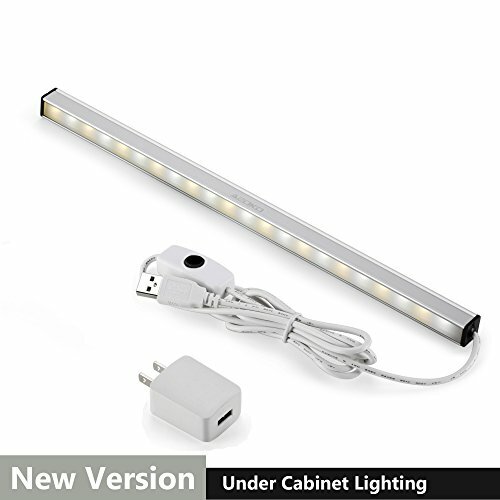 The old version light bar was designed to seal the heat inside, but the heat will reduce the life of LEDs. ASOKO new version light bar built with alumimium alloy and PC , there is a hole on side for heat dissipation , efficiently prolonge the serfvice life of the light. The memory design will auto save the setting of brightness level before turn off, and when you turn it on again , it will stay the brightness level you set last time even you cut the power off. Come with a UL listed high quality USB adapter, nice designed, safe to use. 12-MONTH warranty provided. Any manufacturing defects within 12 months, just contact us to get a REPLACEMENT or 100% MONEY BACK without return. 【Dimmable Design】: 3 Levels brightness to adjust with one soft silicone switch, simple and comfortable. Memory function, can work with Smart Plug or Timer, it will stay on the brightness level you set last time when power back on. 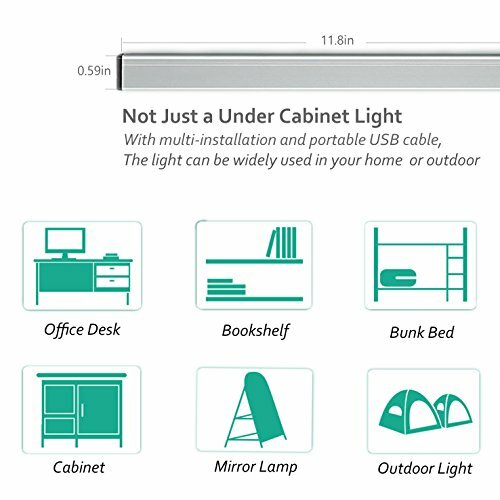 【Portable】: With USB port, you can use it INDOOR with plug or computer, or OUTDOOR with a power bank. 【Energy Saving】: High quality LEDs produce bright light with low energy consumption,saves your money. 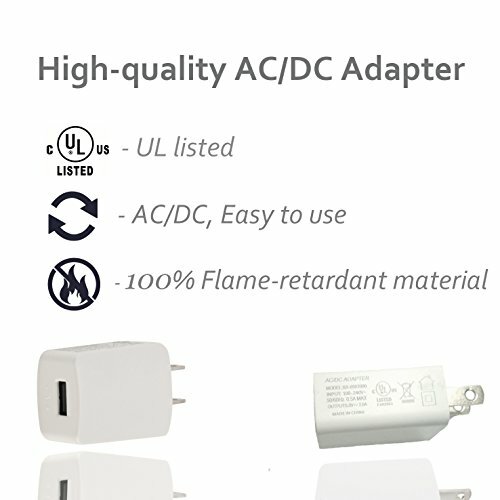 【UL Listed Adapter】:Come with a UL listed high quality USB adapter, nice designed, safe to use. If you have any questions about this product by ASOKO, contact us by completing and submitting the form below. If you are looking for a specif part number, please include it with your message.